Beach London have announce a very exciting last-minute addition to theri 2012 line up. Anthony Burrill, one of the most respected graphic designers working today will present a look back at his hugely popular series of letterpress posters in their gallery. 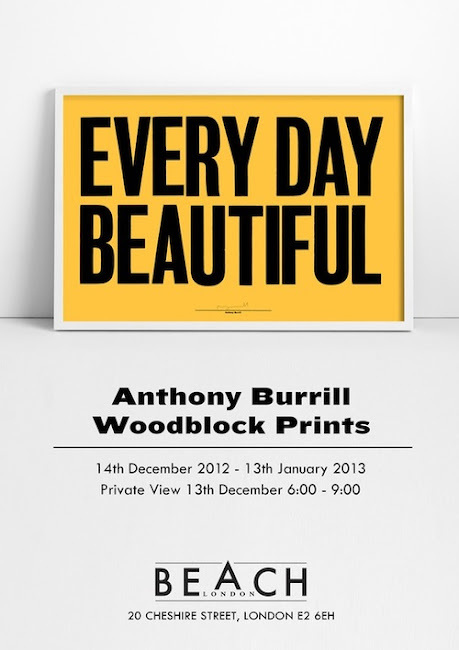 Join them for a private viewing of the posters tonight December the 13th from 6-9pm.The work will be on display at Beach London until the 13th January.